Readers of my blog will be familiar with my frequent reference to my "pet hate" - something I call "faux boxing". What is this? It is a method of sparring often employed by traditional martial artists but which is virtually devoid of traditional martial techniques. In their stead, practitioners will substitute moves that resemble boxing, even though the particular practitioners have no training or other experience in that sport. 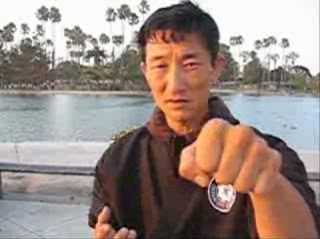 For example, instead of seeing a karateka use karate punches, kicks, evasions, blocks/deflections and stances (in a dynamic sense - not in static postures), one sees purported boxing punches, kickboxing style kicks, no blocks/deflections and, as I shall discuss, a facsimile of "flashy" boxing footwork. Ditto with taekwondo, kung-fu etc. I recall going to an "all-styles" tournament in the late '80s with my primary karate instructor Bob Davies. 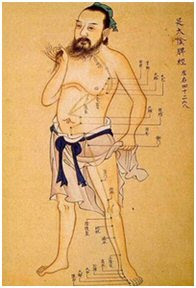 After watching for a while he lamented that all the practitioners looked the same, regardless of art, style or school. The only fighters who looked a bit different were the pencak silat practitioners who used low circle reaps to great effect. The remainder did the same, tired moves that bore no relationship to their basics, forms or training in general. The footwork is possibly the worst element of faux boxing, particularly as it is, to my eye, not only misconceived and purposeless but even counterproductive, if not dangerous. I am talking of course of the ubiquitous bouncing or skipping that many so-called "traditional" martial artists use today. 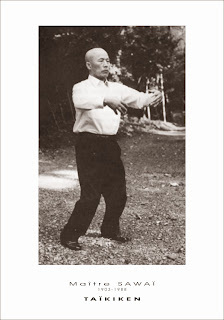 As I have said above, it manifests in practically every major traditional martial style, even though it has nothing to do with any of those styles. 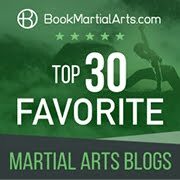 In this article you can see 3 seperate animated gifs showing (from the top down) typical examples of sparring/competition in karate, taekwondo and kung fu. What's so wrong with skipping? The question should be: "What's right with it?" In general, boxing footwork involves keeping the legs at roughly equal distance apart and generating movement from both feet with a springing motion. Once the gap is closed to the melee range the springing motion ceases; the centre of gravity is lowered and footwork takes the form of lunges or, if backpedalling occurs, natural steps. By this stage the major reason why I feel "skipping" is not functional for traditional martial arts should be readily apparent; it is designed for certain limited combat sports, not for civilian defence. The latter trains for the melee range, not the lead-up where 2 competitors "square off" and circle each other. In the melee range you simply don't have the time or capacity to skip; events are too fast and furious. And even if you are at a distance, boxing footwork is not entirely appropriate for civilian defence purposes. For a start a boxer is not anticipating a blow to the groin so he or she can afford to move around with his or her legs kept apart. A boxer also doesn't expect to be caught by a foot sweep. I believe it is for these reasons that "skipping" is seldom seen in MMA type bouts (which allow a much wider range of blows and kicks than in boxing and kickboxing). In any event, apart from "show", I can't see that bouncing up and down has any real function: it uses up valuable energy for no discernible gain. Furthermore, study any type of fight - sports or otherwise - and you will see that skipping is highly disruptive to both your attack and defence. In respect of the former, it hampers your ability to take advantage of openings. As I have said above, you have to stop skipping to engage your opponent, whether in the melee range or at a distance. If you are "mid-skip" this can be problematic. I believe the advent of modern non-contact sport fighting (particularly karate's "ippon shobu" contests from the late 1950s and early 60s onwards) changed the manifestation of traditional martial arts completely. This is particularly relevant if you consider that few in karate, taekwondo and Chinese quan fa (kung fu) even did free-sparring in their training prior to the 1960s. As the first martial art to be popularised in the west, karate was at the forefront of this movement. Add to that the Japanese influence (based on the sword) of "ikken hitsatsu" or "hito zuki, hito geri" (where you concentrate on aesthetic "single blows") and you get the kind of "distance" fighting so prevalent today. In other words, I've always felt that distance fighting in karate is a fairly modern dilution based on a combination of cultural considerations and sport influence. Because boxing was, for a very long period, the principal striking combat sport in the West it's influence on sport karate and similar traditional eastern fighting systems was inevitable. In the west, boxing is and was intuitively understood at a cultural level where eastern fighting disciplines with their blocks/deflections and strange thrusting (non-retracting) techniques were not. It is in this context that I believe "Ali-esque" skipping slipped into the subconscious of mainstream sport karate and its ilk, perhaps on the springboard of the tentative, shuffling distance approaches used in "ippon shobu" single reverse-punch contests. In other words, karate, like boxing, was being used as a distance-fighting discipline whereas it was, in my view, designed almost exclusively for the melee range. I believe the same is can be said of any traditional art that relies on blocks/deflections (see my articles "Why blocks DO work" and "The melee: karate's fighting range" for more on this subject). In my mind this explains why few, if any, traditional techniques are actually used in sparring by traditional martial artists; they simply cannot function in a "distance" framework. The above argument is usually countered by the lingering story about shorin-ryu karate being descended from northern Chinese "long-range" systems while goju-ryu and other Naha-te karate systems are descended from the southern Chinese "close-quarters" systems. I don't believe there is much historical fact to back this up, if any. 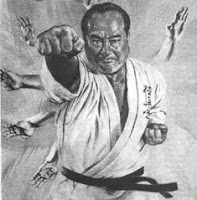 Okinawan karate of all kinds has always been a "mid-range" proposition as far as I can tell from a structural/technical analysis. 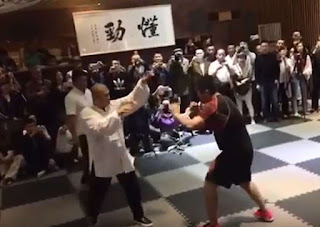 It is my view that even the "long fist" schools of northern China are "melee range" schools; they just operate at the outer fringe of the melee. Why do I say this? 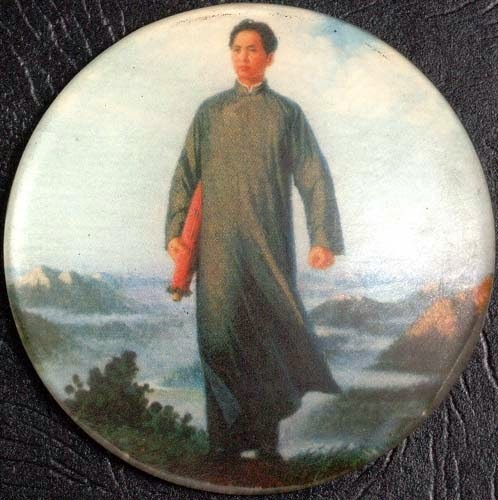 As previously mentioned, the traditional eastern martial arts were all designed as civilian defence systems, not sports. They are not designed for circling your opponent, looking for openings. They focus on that moment when you are attacked while sitting on a bar-stool, fumbling keys in front of a door, confronted in the street by a jealous boyfriend etc. 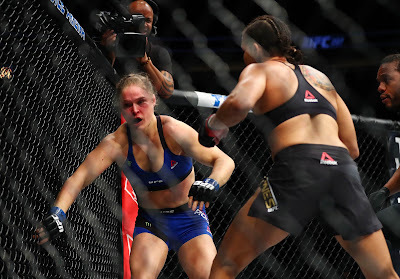 These kinds of situations have fundamentally different dynamics to a boxing or other combat sport fight. (For more on this topic see my article "Civilian defence systems"). Is faux boxing really so bad? Some of the best karateka/taekwondo/kung fu practitioners I have met are adept at the modern "sport fighting". 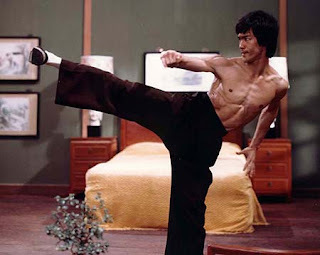 I have created the above animated gifs from screen captures of martial artists of a very high calibre. However saying this is not the same as saying that I agree with their approach to sparring. I remain firmly of the view that they are not using their arts as they were designed to be used. They are not using their traditional techniques (except for a somewhat slavishy applied basic reverse punch). That faux boxing is not on a par with real boxing or MMA type fighting has been demonstrated all too emphatically in various ring contests. It fails to use the strengths of traditonal civilian defence systems (the melee skills), falling back on a second tier of highly stylised techniques suitable for various "tag" distance-related contests. In other words, I feel many martial artists succeed as formidable opponents despite their reliance on faux boxing - not because of it. Conversly, with many martial artists the "wrong" type of free-sparring can be worse than doing limited "correct" sparring. I have had more than a few friends who have come off second best in a fight because they started doing the "competition bounce" and were overwhelmed with a simple jab and right cross. The bad habits and false confidence that can be learned from sparring only with those who "play the right game" can be catastrophic. In my view the answer is simple: go back to basics. In your training, go into the melee range and stay there. Slow it down if you have to initially. Use your traditional techniques. If you can't use the basic form, use aspects of it (the "yi" or concept rather than the exact "xing" or form). If your form cannot be applied at all, revisit what you're learning. Has it been modified too far from an earlier version? Does it make sense in the context of the melee range? I have undertaken this journey and found that it yields surprising results. 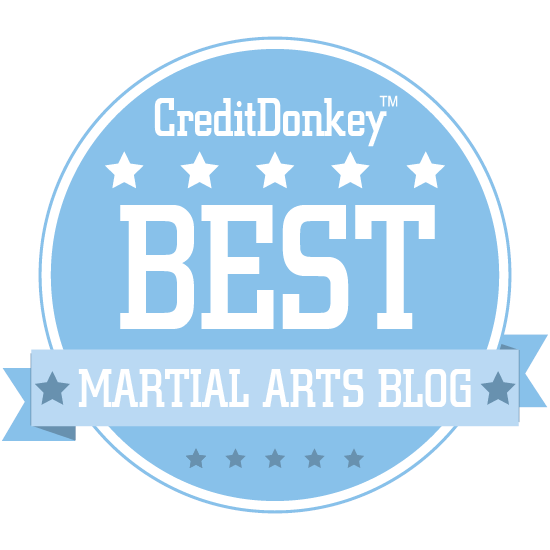 It also provides answers to many common criticisms of traditional martial arts, exposing some fundamental misconceptions and false assumptions along the way. In the end I have found that the traditional martial systems work. You just have to use them - not replace them with a "poor man's copy" of a western combat sport. To me, sparring itself always seemed a waste of time and energy. I've witnessed a few fights in the real world and no one had time to bow or assume a stance, let alone bounce around. The only time in my adult life that I had to apply any martial arts training, it was utterly formless and unplanned; the attack was completely unexpected and the opening called for a move I'd never contemplated, let alone practiced. Later reflection led me to believe that the most valuable training was scenario-based: reacting to an attack with a devastating block, a counter-attack, and a follow-thru. Sparring, by contrast, always seemed to be about competition and points -- in other words, SPORT. No wonder sports-think has infected it. Our "randori" is a drill to groove responses in what I have called the "melee range". It is not intended to be like real fighting. It is used in conjunction with other "scenario based" stimulus-response training. I too have found sparring to be greatly overrated. People talk of "realism" yet any kind of sparring is never commenced in an unexpected way, with real adrenalin etc. Even in competition you have time to "steel" yourself and plan strategy. It is the way you spar that is at fault. Your sparring should be as close to the real thing as possible. If your sparring is about competition, has rules,judges etc... it is a sport and will teach you sporting habits. Sparring is definitely not overrated. It is mostly underrated and MISREPRESENTED. If you don't feel like you are really being attacked by your sparring partner, you might need to question your sparring. If your sparring does not improve your fighting skills, You need to seriously look at why your sparring is not a fight. Martial Arts is very simple. All you need to do is practice drills, fight against a "shadow", and fight a man/training partner. Sparring is sparring - not fighting. I think it is useful/necessary for training self-defence. However a lot of people assume their sparring is "realistic" and is hence "like fighting" or "almost like fighting". Unless you are attacking with real malice, intending to hurt, maim or worse your sparring is NOT fighting. Nice blog! I just came to it from Colin Wee's blog. Funny thing: I dabbled in boxing about 15 years ago and bounced. I just got my first dan in taekwondo this past May. The bounce was encouraged but when I sparred folks half my age it was one more thing to slow me down and burn energy. I discovered that if I DID NOT bounce in tournament sparring I could often hold my own. I also never thought about the MMA observation. Good catch! I know a lot of people who say that the "bounce" is necessary for speed in attack in shiai kumite (the karate non-contact stuff). They argue that it's a plyometric thing. I think that whatever speed you gain is offset by the "warning". A good opponent will discern your movement because it will be telegraphed. In the end I'm with you: I've tried bouncing in any kind of sparring and it's detrimental. Having said that, an odd skip or bounce here or there might be useful tactically. As a constant movement - no way! Agree wholeheartedly with you, Dan. Why people train one way and fight another is something I'll never understand. You know. I've always wondered why we spent 50 minutes of a 1 hour TKD lesson practicing basics, poomsae etc., and then in the last 10 minutes of sparring we'd abandon everything- the stances, the blocks, the hand strikes and more- in favour of bouncing up and down and exchanging turning kicks. And I was always confused when I was overwhelmed and unbalanced by someone who didn't "play the game". I wish this article were disseminated in more martial schools. Thanks Xin - I agree. I think it is a crying shame that more people aren't applying their traditional techniques leading to the dilution and lack of understanding we see. Like @xinsempai I often wondered why my Kyokushin class bothered with 60 minutes of kata and kihon, then did 30 minutes of kickboxing style sparring. We would have been allot better at that type of sparring if we had of trained kickboxing rather than Karate kata and kihon. Not ever getting a good answer to why we trained one way and the "fought" another lead me to drop Karate in favour of boxing and curently MMA/BJJ. Love your blog, Dan. For me personally the blog has made the traditional arts seem more potentially practical and relevant than I had previously thought them to be in general. Thanks to that perception change they are now an interesting potential alternative to some of what I am currently doing. And like a third of New Zealand I am likely moving to Perth next year, so if I get sent there I would be very interested in looking at studying at the Academy of Traditional Fighting Arts.